Board. There are basically two common types of board – the kind you can buy in seaside style shops, which are polystyrene covered with a thin plastic coating, and more serious ones you can buy in sports shops, which have a fibreglass bottom, ankle tethers and small strakes to help with direction. Maybe start out with a cheapie, and if you enjoy it, graduate to a better board. The better boards last longer, are stiffer, easier to keep in a straight line and generally “surf” better. Flippers. These are essential to give you the necessary thrust to get onto a wave. Ordinary snorkeling flippers will do, as long as they fit well and won’t be pulled off by a wave. In time you can get boogie boarding flippers, which are much smaller and tether around your ankles. Clothing. In winter many people use Shorty wetsuits, but in summer swimming gear is fine. Make sure your shorts or bikini fit snugly, as the waves can rip them off! A rash vest will help prevent chest scrapes on the board. After a day boogie boarding, make sure you thoroughly wash the gear in fresh water, and then dry in the shade, as the sun will melt and warp plastic. This is really important to prolong the life of the kit. Start by finding a beach with some decent waves! Arrieta can be excellent when the wind is blowing, for example. Paddle your board out to the point just before the waves are breaking and position your self with your upper body on the board and lower trailing behind in the water. The aim is to catch a wave as it’s rising and has some real push, but well before it breaks. As the wave approaches, kick like mad with your flippers to get as much speed up as possible. As the wave gets under you, pull yourself forward so that most of your body is on the board. If you’ve timed it right, you’ll feel a huge acceleration as the wave picks you and your board up! At first, you’ll just allow the wave to take you straight to shore and you’ll enjoy every moment! In time, though, you’ll learn to “Steer” the board by moving your body to one side, or trailing one flipper in the water. Using this technique, you can run “along” a wave. After you have mastered this technique, you can try pulling yourself into a kneeling position and ride that way. And as long as you’re not too heavy, you may even be able to stand on a boogie board. Swimmers – you need to keep a good eye out for swimmers and other surfers. Once you’re really moving on a wave, if you think you’re going to hit someone, then “bin” the ride – basically tip yourself off the board to one side. Rip Currents – we do get an occasional rip here. If you get into one, you’ll feel yourself being pulled out to sea. Don’t try to swim against it! Instead swim parallel to the shore until you’re out of it. A rip, by it’s very nature, is narrow, and by swimming to one side you will soon be clear and able to head for shore again. That’s boogie boarding! Give it a try! 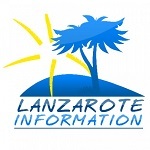 If you’re the outdoor type, you might want to find out more about Walking in Lanzarote. Villa Ann is a gorgeous 3 bedroom villa in Nazaret - right in the centre of the island, and popular with walkers, sports people and for a chill out.